35mm Kodachrome by Jack Delano. January 1941. Lowell, Mass. 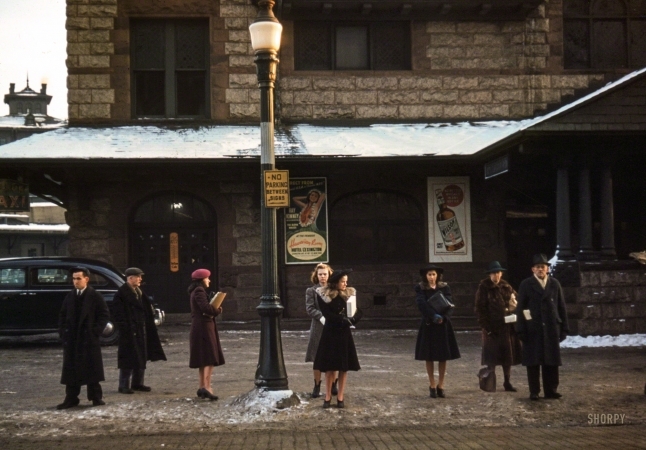 "Commuters who have just come off the train, waiting for the bus to go home."